PEMFs are expected to decrease the inflammation and pain related to shingles attacks. The potential for benefit will depend on how soon you start treatment after the attack becomes apparent. This is typical for most other health conditions as well – the sooner PEMFs are used, the better. PEMFs are somewhat antiviral, but most of their activity is expected to be through the modulation and strengthening of the body’s own immune responses to recurrence of these infections. Shingles attacks typically occur and recur when someone is under major stress. This could be a physical stress like from a personal injury or major illness, or emotional stress like from the loss of a friend or family member. During these circumstances, the immune system dramatically decreases in its natural ability to control the survival of the shingles virus in the body. When the immune system decreases significantly, the virus can get out of control and develop into an attack. Where should PEMFs be applied? PEMFs should be applied not only to where the pain is being experienced, but also to the spinal column at the level where the virus probably lives. For example, if the pain is in the mid chest or under the breasts, then the treatment area should be in the mid-thoracic spine just below the level of the shoulder blades. If the problem is in the lower back or abdomen, then the treatment area should be in the lower back. So, part of the treatment time should be spent where the pain is or where the lesions appear, and the rest of the treatment time should be spent where the virus actually lives, which is usually along the spinal column. In the case of acute lesions, patients typically need to be on either an antiviral and/or steroids to reduce the level of inflammation. I would never use PEMFs in this case without using some kind of an antiviral or anti-inflammatory or immune-modulating treatment protocol. We do need to quiet down the acute and uncomfortable situation using standard medical therapies while at the same time beginning the process of natural healing. 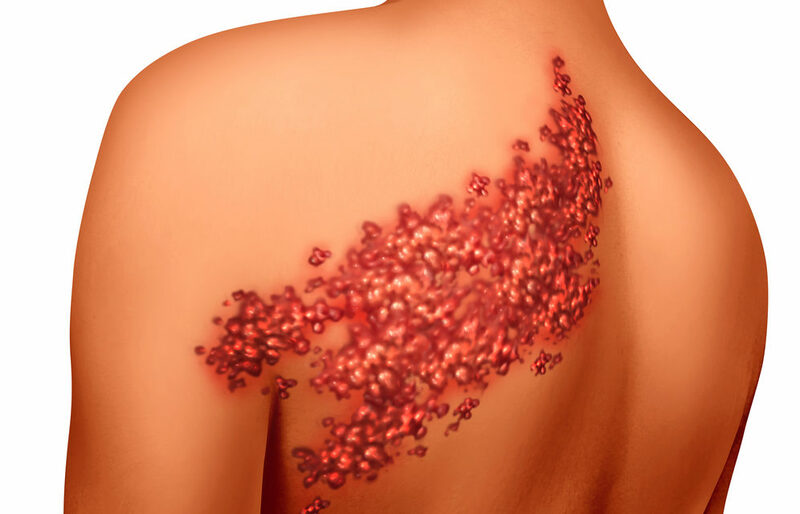 In the later stages of shingles, we are dealing with a nerve pain normally called postherpetic neuralgia. 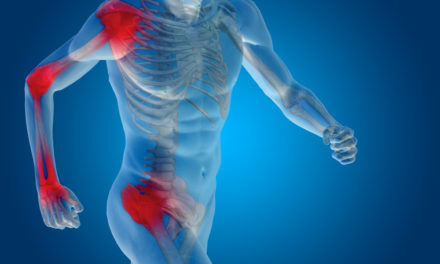 In this situation, we are likely to reduce the level of pain substantially, even from the earliest days of treatment. Once you have had shingles, the risk of recurrence is increased, even despite shingles shots. In that instance, it is easy to remember to use PEMF therapies since there is still discomfort. The challenge comes when the pain and rash go away. This does not mean the virus is dead or gone from the body. Typically, it still survives in the area that caused the problem in the first place. It may also survive in other parts of the body, creating the potential of additional shingles outbreaks elsewhere in the body. For this reason, we recommend regular therapy with PEMFs to the area of the spine where the shingles is likely living. In rare cases, the virus may get into the brain and cause meningitis. PEMFs will work better in conjunction with standard therapies, including medical, nutritional, and supplemental support. My usual approach is to provide natural antivirals, natural anti-inflammatories, and natural nerve regeneration factor stimulants. These will often provide nutritional support while helping the PEMFs to promote a major amount of healing response to the viral assault. While it is tempting to use a less expensive local PEMF system, the results are not as likely to be as noticeable as we would like. Herpetic neuralgia is not a problem to be trifled with, so it is often better to purchase the best system available and not to be “penny wise/pound foolish.” If there are other health care issues that demand attention as well, then considering other whole-body PEMF systems may be necessary. 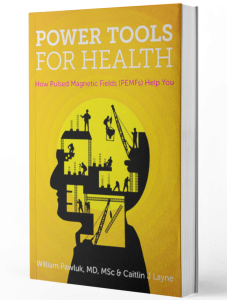 In cases of very severe shingles virus afflictions, such as spinal cord paralysis and/or encephalitis, much more potent PEMF systems may be necessary. Deciding which system to consider will depend on individual circumstances, as it almost always does. Generally speaking, I will recommend a mobile or portable PEMF system that would be used long term. 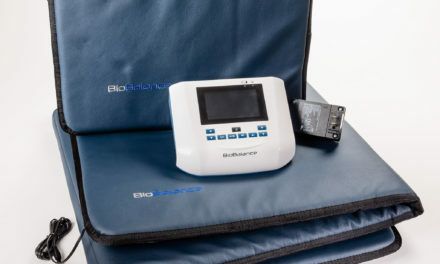 In the initial stages, you would use this system 24 hours a day for about a week, then gradually slow use to whatever level is needed to manage the health care issues. For this purpose, the SomaPulse system generally will work the best.